The Danish Road Directorate took the publics temperature in knowledge on road signs. The results were viral. Viral happens and when it's not just content but a full interactive experience, performance and precision are vital. 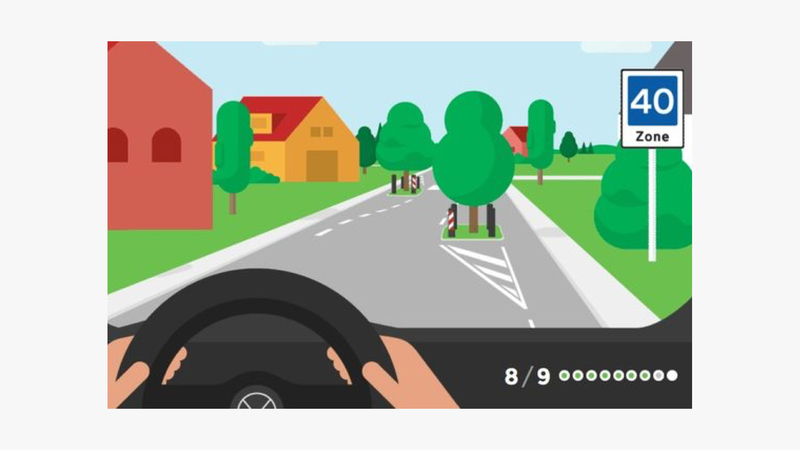 We developed, deployed and supported a dynamic graphic quiz that tested the driving knowledge for all of Denmark in just a week. 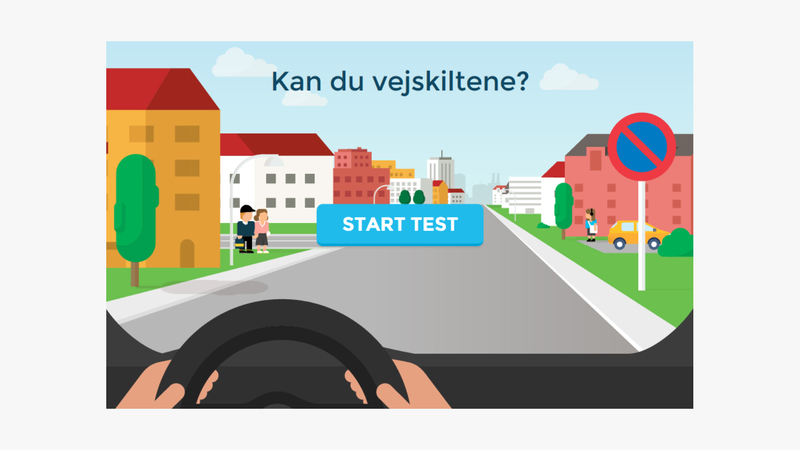 Administering driving tests meant The Danish Road Directorate (Vejdirektoratet) knows a thing or two about asking the tough questions. To put together a social quiz that would stand out, they reached out to the infographic design team at Ferdio to develop a distinctive look and feel. But what was required would be a way to match driving scenarios with signs and backgrounds,in order to create, animate and score a quiz that could be updated and administered on the fly. We collaborated first with Ferdio around matching the right visual file formats to deliver their distinctive 16 bit flat style in as interactive a manner as possible without restricting the flows. This meant graphics were divided and layered for backgrounds, signs and animations to be put together in the CMS to create new questions. Wordpress was well suited for organizing the relational database to score and display quiz results live. Following a feature on Go' Morgen Danmark and top billing on TV2's website, the uptake went from an average of 20 to 2,000 active users in the first week and a sustained audience of 30,000 unique daily visits as the campaign took off on the social webs. During week 21, the 'Skilt Med Det' quiz was the 2nd most visited website in the country. The Danish Road Directorate came away with a complete overview on the public's driving knowledge and massive data to revamp their outreach.